Amazon Standard Identification Numbers (ASINs) are unique 10 characters of letters and/or numbers to label products. The ASIN (Amazon Standard Identification Number) is the common identification number of products on Amazon. Books are the only exception; the ASINs for books are called ISBN (International Standard Book Number). ASINs are gotten and determined according to guidelines provided by Amazon. The ASIN number can be found on the product’s URL on the web address bar; it can also be found on the product’s description or by simply using tools and finders. To help reduce the number of search results so that customers can find the exact product they are looking for easily without having to open many pages. To make it simple for converting customers to find, contrast and compare varieties (including size, color, make, etc.) of a particular product on one page. Variation relationship is served to bring similar products together that differ in one or more aspect. There are two types of variations in Amazon: Parent and Child listings. General every parent has a child. So parent products have children on Amazon. 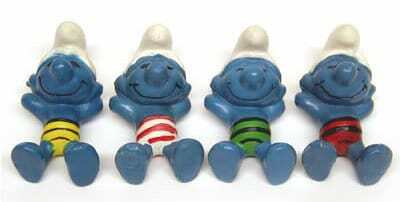 Almost every parent product has child products. The children of the parent products are related in one way or the other. 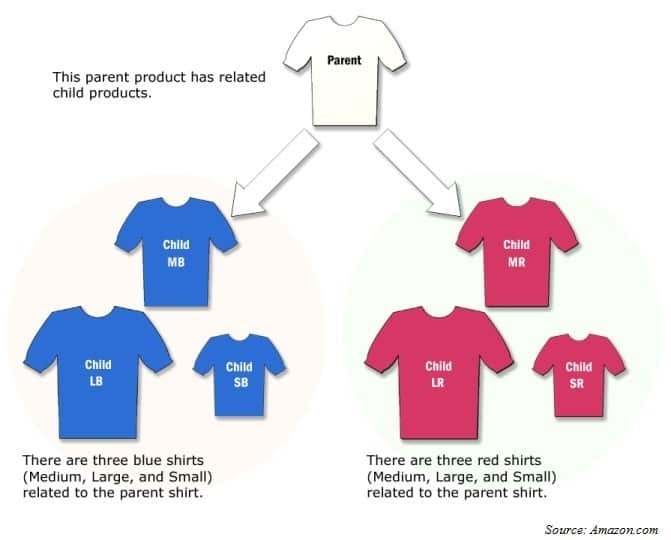 The illustration below shows the parent-child relationships between T-shirts of different colors and sizes. Often times, many people as what are parent child listing, how do I add a parent to my products? Parent-child listings are better when selling on Amazon. If you sell varieties of a specific product, you should add them as parent-child listings having the main product as the parent and the variations as the children. The reason for doing this is that it makes it easier for your customer to choose the exact product your customers want. If you your products are listed separately, your converting customer would find it difficult and stressful when searching for your products. You make more sales and drive larger traffic when you use variations. ‘Parent ASIN cannot be fulfilled by Amazon’ is a common error that sellers get creating a product listing with different variations. This occurs when there is an error in the parent ASIN leaving the children ASIN with no information to rely on. However, to resolve the error you need to list your stock against the Child ASIN then creates your shipment order from them. Other errors related to ASIN are ‘misuse of ASIN’ that can result in account suspension. Ensure you use the proper parent and child ASIN. Any Product that has variations has a Parent ASIN that all the Variation (Child) ASINs depend on. When you search for a product on Amazon, the results you get are those of the child ASIN. ASINs without variation in the parent and child ASIN means both the parent and the child ASIN is the same.